I wasn’t able to watch the SAG Awards live this past Sunday–I was watching Rent: Live and living for Valentina and Brandon Victor Dixon in spite of the clustercuss surrounding them. However, I caught up on all the magic that happened that night due to social media and my work at Shadow and Act. 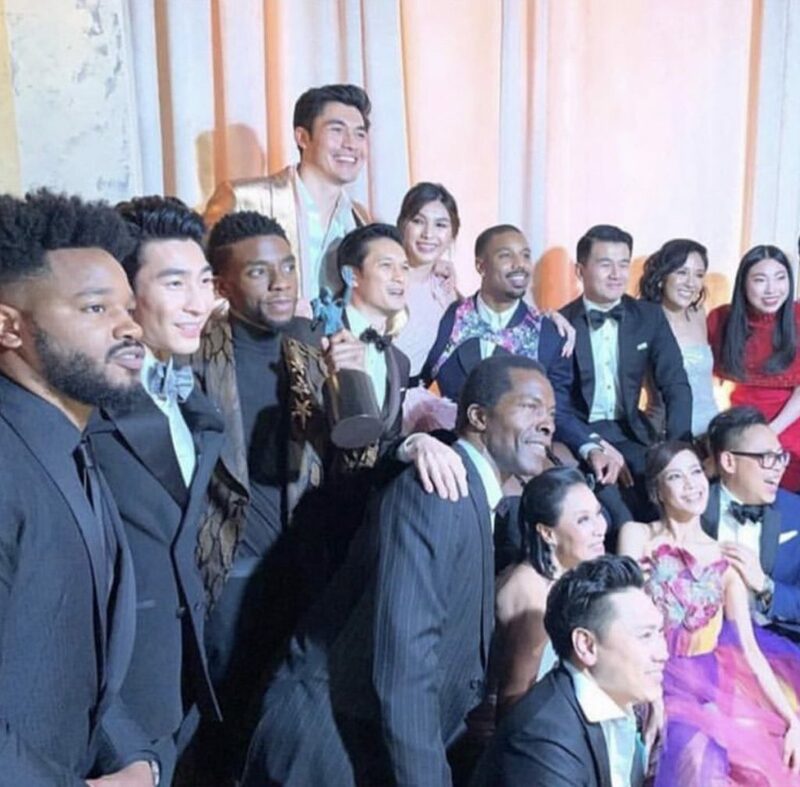 Among all of the cool moments of the night–from Geoffrey Owens taking part in the “I Am An Actor” opening sequence, Sandra Oh thanking Alfre Woodard and Lena Waithe for their encouragement throughout her career, and Black Panther winning the top award of the night–there was a little picture taken with the casts of Black Panther and Crazy Rich Asians. These films were not only the biggest films of 2018, but they were the two films from the year that had majority POC casts. They helped change the game in Hollywood, paving the way for even more films starring POC casts, and it was only right that they take one of the most powerful selfies ever. The internet went agog over the picture and the type of Hollywood it represents. As you can surmise, it shows a Hollywood that is more equitable towards all actors, regardless of background. It’s a Hollywood that sees the importance of all people’s stories, not just those who have created the status quo. It represents a Hollywood that is finally, finally, awesome. Even more importantly, this picture gives a vision of what it looks like when POC work together beyond racial lines and social lines to achieve something bigger than themselves. Crazy Rich Asians and Black Panther achieved because of the talent involved, of course. But the fans who went out and supported these films also have a hand in this success. They promoted the film on social media, bought out theaters, and cross-promoted other films so that the POC groups could support each other. When Black Panther was out, POC including Asian-Americans told their friends, family and online followers to go out to see it, and the reverse happened when Crazy Rich Asians came out–POC including African-Americans told their circles to go out and support the film. Also, the actors and directors for each of these films supported each other’s work on social media, highlighting when either film broke records. In a way, the successes of these two films can serve as a model for how us POC can work together to achieve a myriad of things, and thankfully, many of us already are doing that work in a variety of sectors. I’m so happy for both of these films! What do you think about this picture? Give your response below.